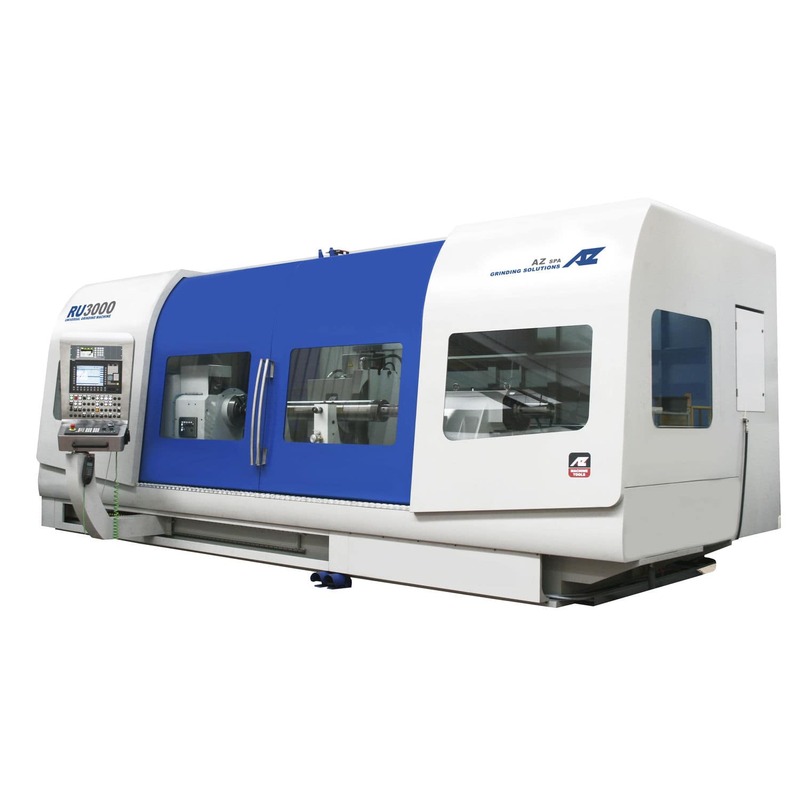 AZ Universal grinding machines range has been designed to fulfil the requirements of a wide range of applications that combine external, internal, face and taper grinding of components such as: transmission shafts, electric motor shaft, gas and wind turbine shafts, railway shafts, machine tools shafts, landing gear components, etc. The grinding machine RU3000 proposal is designed in accordance with the production process of broaches. 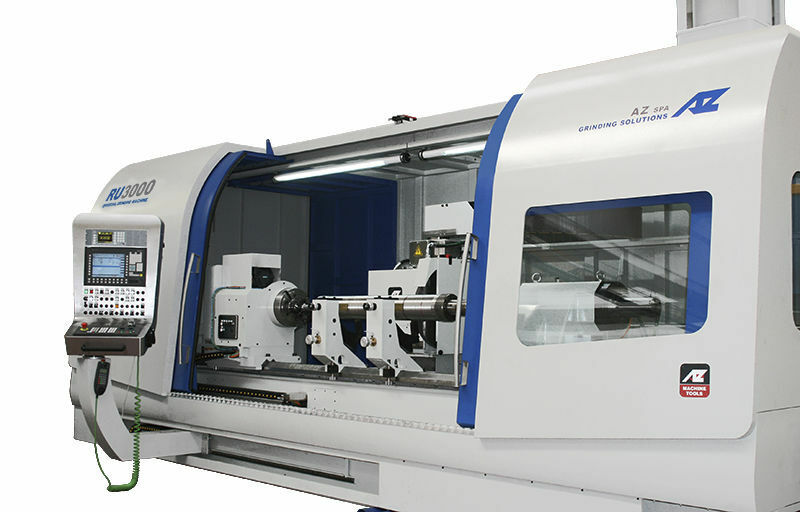 This grinding machine is constituted by a high quality cast iron monolithic base, with a flat guide and a guide “V” for the movement of the carriage grinding wheel along the axis Z. The surfaces are scraped by hand to ensure the maximum precision of linearity and flatness in the different positions of the grinding wheel head. The contact between the grinding of the carriage and the base is made of special anti-friction plastic material (Turcite). The X-axis of the carriage grinding wheel is made of high quality cast iron, normalized. Double prismatic guide, with forced lubrication for perfect alignment. The directional guides have high resistance to lateral forces. 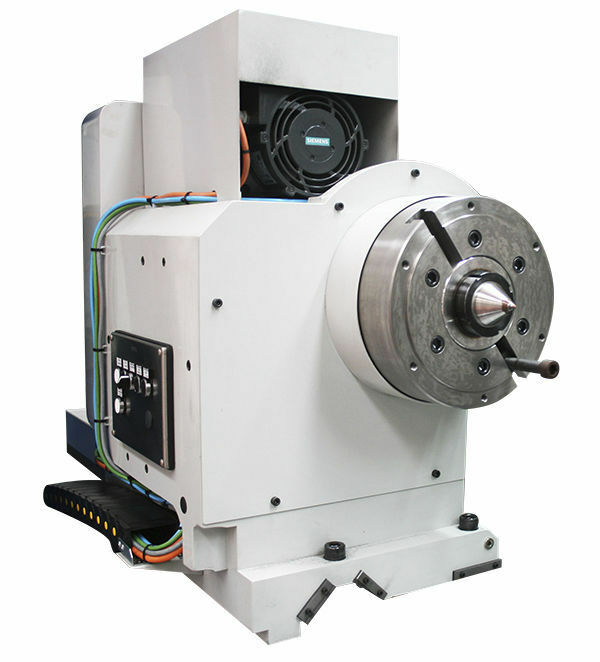 The transverse movement of the grinding head is given by a very high precision of the recirculating ball, driven by a brushless motor of Siemens. Monitoring the position it is detected by a linear encoder controlled by CNC (X axis). The longitudinal movement (Z axis) is given by a recirculating screw preloaded ball. 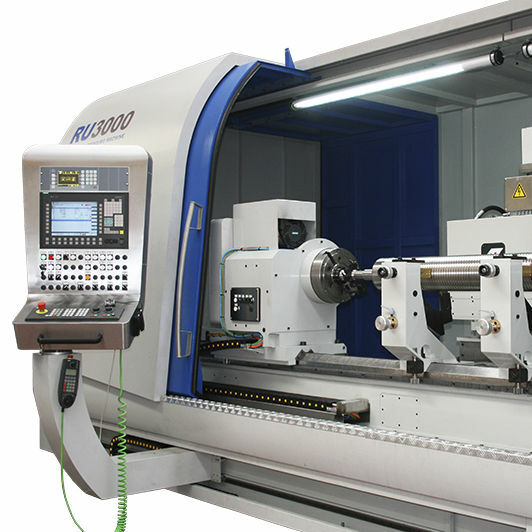 The machine has a double-spindle grinding wheel. The head rotates of 20° and 200° automatically. The locking of the rotation is constituted by a hydraulic clamping. 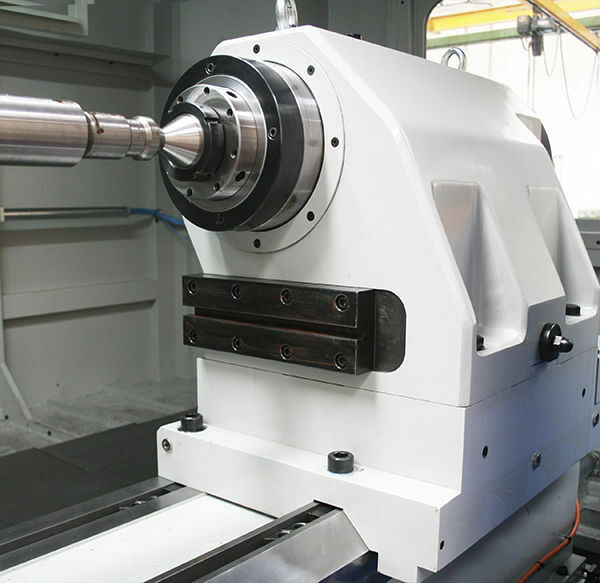 The rotation of the grinding head is from 0° to 140°.